As a pediatric resident, I have families come into clinic on a daily basis with questions about parenting. How do I discipline my child? How do I get them to eat their vegetables? How do I get them to stay in their own bed at night? My question is: where does it say in the pediatric texts how to advise on parenting skills? The truth: it often doesn’t! As a doctor-in-training, the books tell us the what-you-need-to-do part of the equation, but leave the how-to-do-it part up for interpretation. For example, the texts will tell you, a toddler needs to give up the bottle by 18 months, but it fails to say how you convince a child to do so. 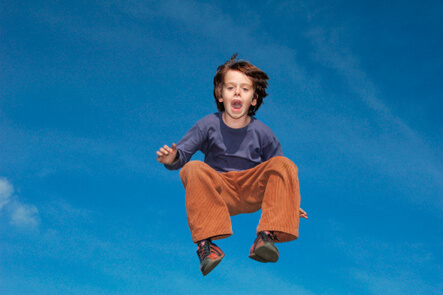 It seems that effective pediatricians must have real-life inspiration to draw from. Some ask their patients parents what has worked for them. Others have their own child-rearing experience to draw from. As for me, I rely on my sister. My sister has two adorable boys – Finn and Oscar. As the first grandchildren in our family, it hasn’t taken much effort on their part to stay in the spotlight. As the eldest, Oscar was first to arrive on the scene, and he has certainly left an impression. He is what you might kindly call “spirited” or “willful”. But where euphemisms end comes the difficult truth: He has been one hard child to parent. Oscar, like so many children, hasn’t followed the books. He refuses to sit in a seat. He laughs during a time-out. He climbs high onto furniture and then throws himself off, laughing hysterically. He pretends to kiss baby Finn and bites him instead. He literally runs circles around us, as the rest of the family sits together having a family picnic. As Oscar has hit every stage of development, I’ve found that my stock advice as a pediatrician has failed to hold up to the task. Now, I don’t want to give the wrong impression: my sister has not asked for any advice in parenting from me, a non-parent. I have merely heard her relay stories of failed efforts using tips I’m sure I’ve offered to many of my patients’ families. Figuring out the right way to parent Oscar has been a challenge for my sister and her husband. But the trials and tribulations of being a parent have won them the wisdom that comes with experience, and an arsenal of parenting expertise. As Oscar enters his third year of life, he has mellowed a bit. He is no longer waging a private war against his younger brother Finn, and his dare-devil acrobatics have ceased – at least for the time being. He is learning to drink from a cup at mealtimes, and is finally enjoying his fruits and veggies. As a mother to none, but an Auntie to two, I have had the benefit of learning from the tough experiences, without having to struggle through the lessons. From my sister’s hard-won parenting battles, I now have a bit of real-life parenting to draw from, until I have the fortune of going through the lessons myself. 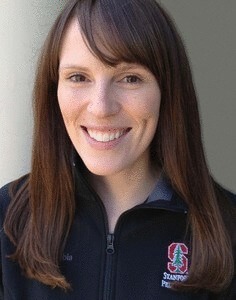 Dr. Audrey Hall is in her final year of pediatric residency training at Stanford University. Following completion of training, she plans to practice as a general pediatrician.